As he plunges into the muddy depths of Sebastian's troubled home life, Daniel thinks back to his own childhood in foster care - and to Minnie, the woman whose love saved him, until she, too, betrayed him so badly that he cut her out of his life. But what crime did Minnie commit that made Daniel disregard her for fifteen years? And will Daniel's identification with a child on trial for murder make him question everything he ever believed in? A Richard & Judy Book Club favourite and international phenomenon. 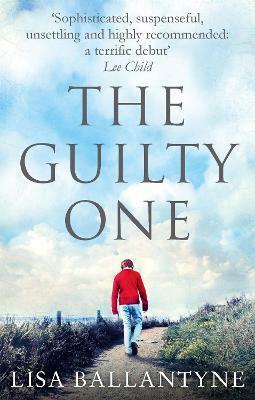 Deeply psychological and suspenseful, The Guilty One is both a legal thriller and a human story of love and redemption. Lisa Ballantyne is the author of the Edgar Award-nominated The Guilty One which was translated into nearly thirty languages. Her second novel, Redemption Road, was a USA Today Bestseller. Originally from Armadale, in Scotland, she now lives in Glasgow.